Every actor knows not to share the stage with animals or children, because their spontaneity will steal the scene. In photography, however, spontaneous moments can turn a good photograph into a great one. And kids and animals are terrific at delivering such moments. In my Dancers Among Us series, I've tried to capture those moments as much as possible. This is my very favorite example. When I asked Xiomara Forman to jump in front of Dunkin Donuts, I knew her pink shirt would match the sign, but I had no idea a little girl dressed in the exact same shade of pink would turn and look at her at the very peak of her jump. It's difficult enough to photograph the optimal moment of a dancer's jump, but to time a bystander's reaction to that moment is impossible. It's purely luck! I didn't even know this had happened until I reviewed the photos later that day. I wanted to take Sarah Bumgarner to the Flatiron Building for a photo, but I had no idea what the shot would be. 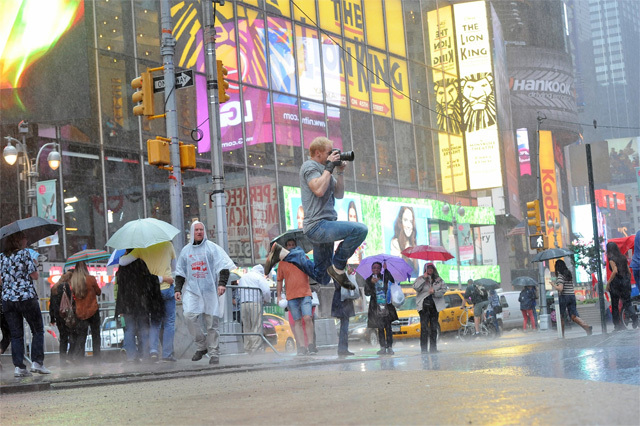 I was looking for something that hadn't been done before (a typical concern when shooting iconic NYC locations). As I looked in vain for a shot, a dog pooped in the perfect spot! Not only that, but it was the perfect kind of poop - not too big, not too soft, just right! As the owner knelt down with a plastic bag, I screamed, "Wait, let us clean it up for you!" He happily volunteered his dog for the photo. I took over 100 shots, but it was in the final frame when the dog finally looked at Sarah. We got the shot, and Sarah, ever the gentlewoman, cleaned up the poop. 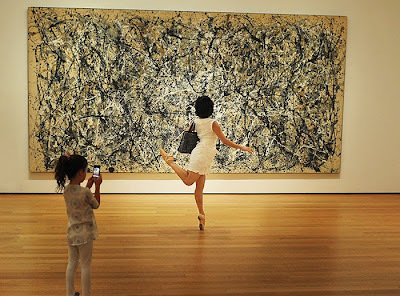 I took Selina Chau to the MOMA, where a crowd began to gather as I photographed her in front of a Jackson Pollock painting. All of a sudden, a little girl walked into the frame and started taking her own photo. 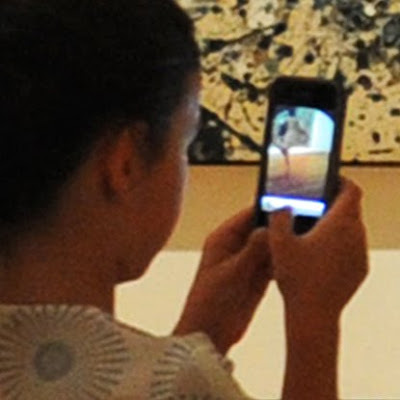 I hope she posted it on Facebook! 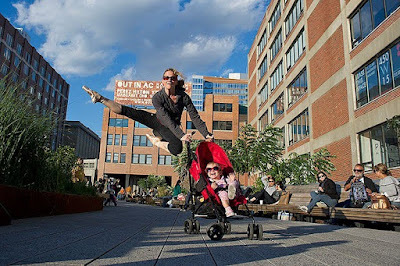 In this shot with Karin Ellis-Wentz (from American Ballet Theatre), we had to be lucky enough to capture Karin at the height of the jump with the baby giggling or at least smiling at the same time. Karin started getting tired, and we didn't have many more chances, so my assistant Hannah (see her shadow?) started making funny faces at the baby. All of a sudden, we got it! This moment happened only once -- the peak of Karin's jump with the priceless expression on her baby's face. 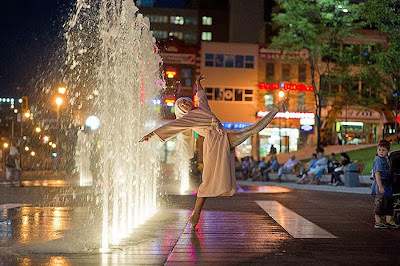 This was taken on my vacation in Montreal, where I photographed several dancers (for my follow-up book, perhaps?). This shot was my wife's idea, but I don't think she anticipated that her son would get such a unique perspective. Of the 200 photos I took of Alyssa Desamais, only one had this unexpected moment.